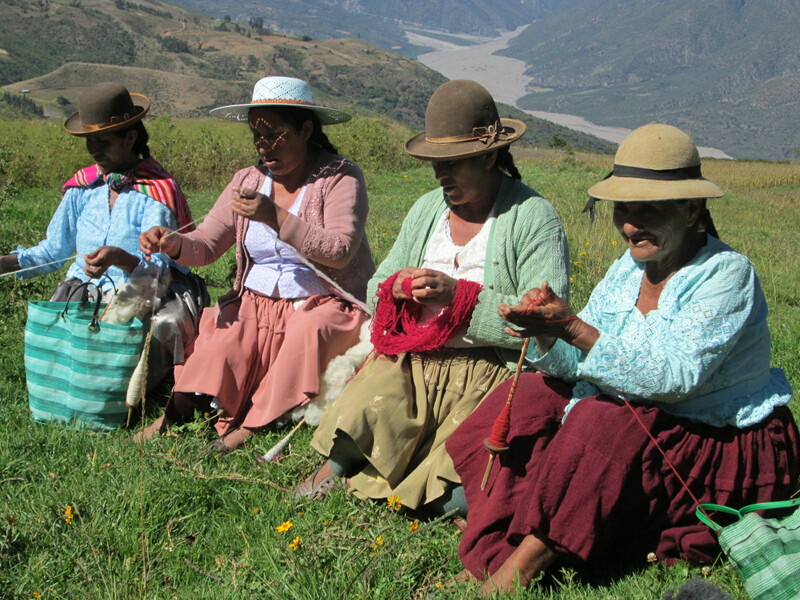 The realities of life in rural Bolivia are harsh. No matter how heart rending the frequent tales of woe, I’ve strived to keep this blog focused on the weavers and their progress in improving the quality of their lives and thus the lives of their families through their weaving skills thanks to your support. I deviated from this course in 2012 to seek tuition aid for nursing tech student, Noemi Chavez. 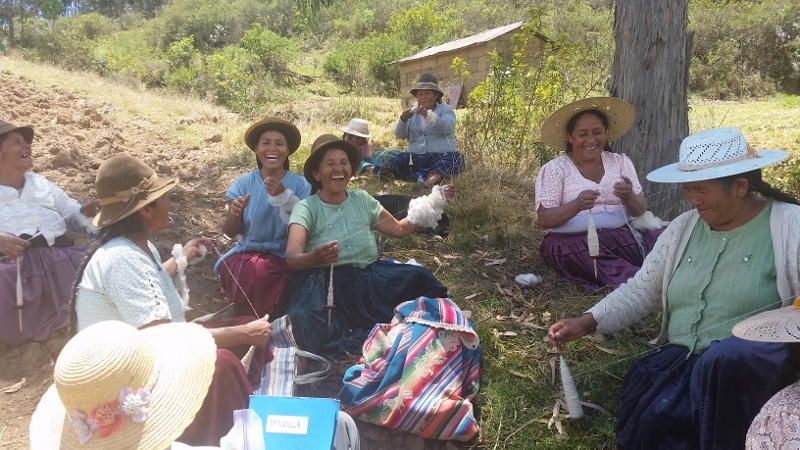 Thanks to a former Bolivia Peace Corp volunteer who follows the blog Noemi has completed the remaining 1-1/2 years of her studies and has the means to pay for the certification process. She is proud to be a professional and will soon be joining the work force. Another situation has come to my attention that my heart can’t ignore. Just before leaving Independencia in mid-April I found a fountain of water spraying out of the ground in the garden. I went in search of the plumber who lives a few houses away and as luck would have it he was home for lunch. He came immediately and within 3 hours all was fixed, the charge was 40 Bolivianos ($6.00). As he prepared to leave he told me that he and his wife had spent a month in Cochabamba because his youngest son of 6 children had to have a brain tumor removed. 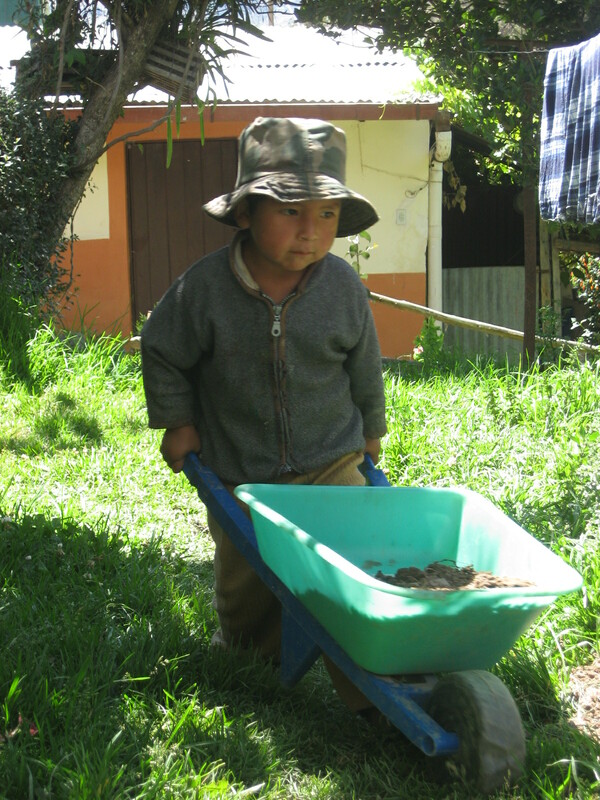 My mind flashed to the memory of 4 year old Joel working alongside his uncles a hot sunny afternoon last year moving load after load of dirt in his wheelbarrow into my landlord’s garden. He has remained in my thoughts as a special child. Just before leaving Independencia I saw Joel walking up the road holding his mother’s hand. His gait was awkward and his speech slurred. He had been looking forward to entering kindergarten when the school year began in February, but that was not to be his fate. hey D, if someone with physical therapist training wanted to volunteer nearby – maybe not in Independencia itself, if insufficeint patients – who would be the best organisation to contact? Is there anyone sending medical volunteers?